This must be one of the most calorically horrifying and fattening things that I ever make/eat. And that’s saying something from a person who doesn’t really bat an eye at recipes that call for whole cups of whipping cream. Remember that cream of spinach soup? Or how about this past weekend’s peanut butter chocolate krispie treats? This sandwich probably isn’t actually in that league, but since I remember eating a lot of these in my ramp up to being at my fattest I kind of associate them with that. Except, they are so good that once in a while I have to indulge. They are so good, that you are going to curse me for showing you how easy they are to make. 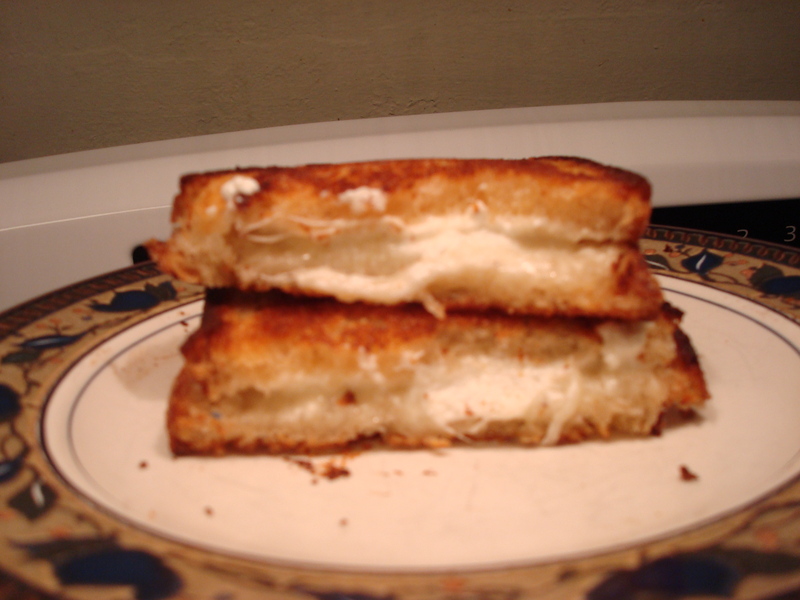 When I was pregnant with Evelyn (six and a half years ago) Adam and I were watching Iron Chef America one night and Wolfgang Puck made a grilled cheese sandwich with goat cheese. I must confess to being a sucker for anything with goat cheese so this seemed like an inspiration. Adam, good fellow that he is, offered to make me one on the spot. While I did take him up on the offer I at least had the self-restraint to wait until the next day. Then, the next day it occurred to me that perhaps the goat cheese wouldn’t get gooey enough and I suggested adding some shredded mozzarella to the mix. Adam protested, but I won out (did I mention I was pregnant at the time? Of course I won). I also suggested he make the sandwich on slices from a bakery loaf of sourdough bread since this is one of my favorite kinds of bread and I left him to his work. What I didn’t know at the time was what he did while cooking those sandwiches that made them so darn addictive (and so darn fattening!). 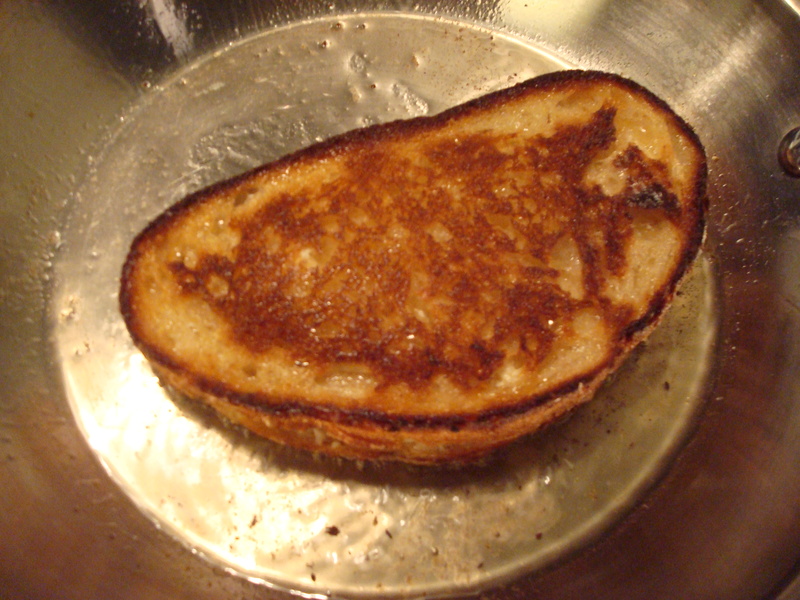 He cooked them with butter on the bread, as most grilled cheese sandwiches are cooked, but then he cooked the buttered bread in a pan greased with olive oil. He essentially fried the sandwich. Yes, you heard me. This is not really a “grilled” cheese sandwich so much as a “fried” cheese sandwich. I don’t think any more needs to be said except: enjoy. Oh, and sorry. 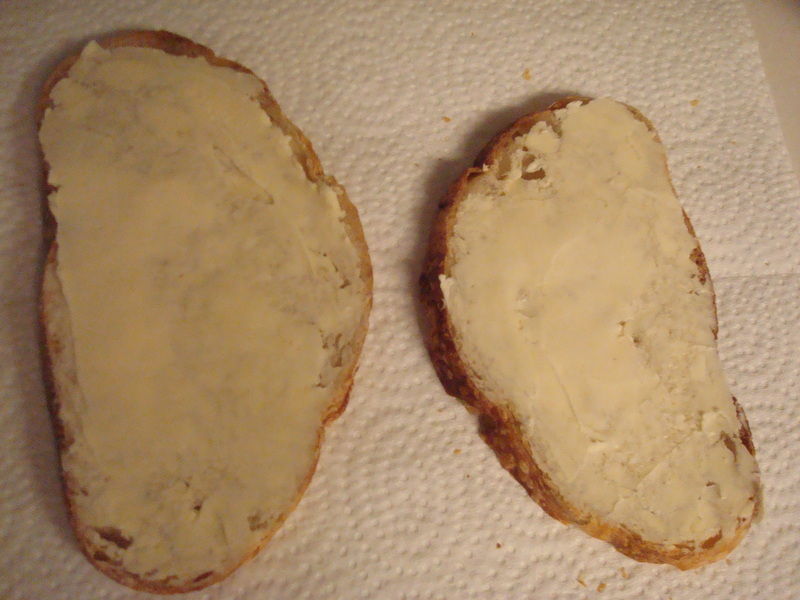 Liberally butter one side of each of the pieces of bread then flip them butter side down onto a piece of paper towel or a plate. 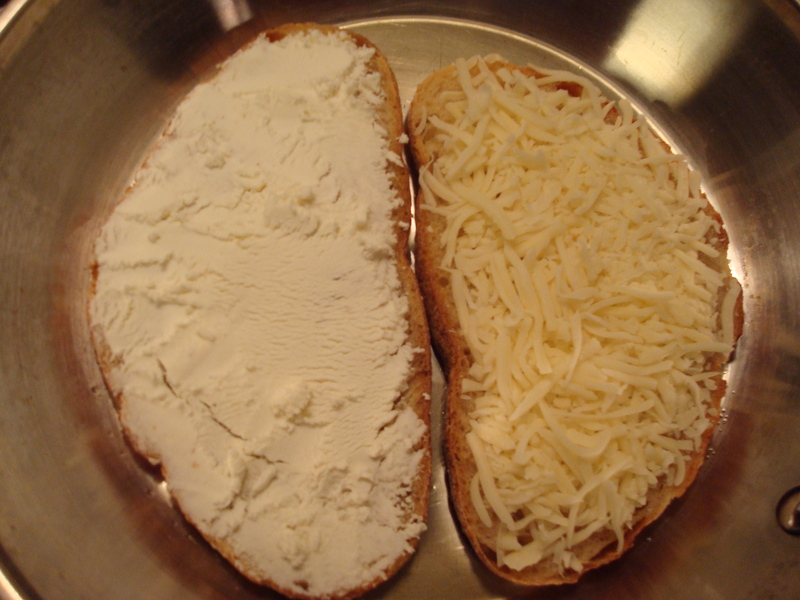 Spread the goat cheese onto one piece of bread and the mozzarella cheese onto the other. 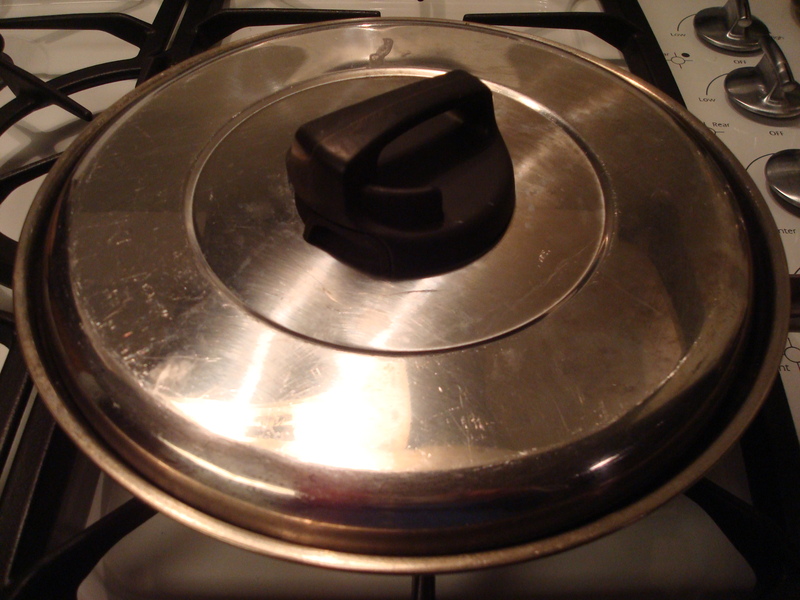 In a frying pan (with a lid) put the oil and let it coat the bottom of the pan. Turn the burner onto a low setting and gently place the bread into the pan. Cover the pan and let it cook for 3-5 minutes, or until the cheese is melted. 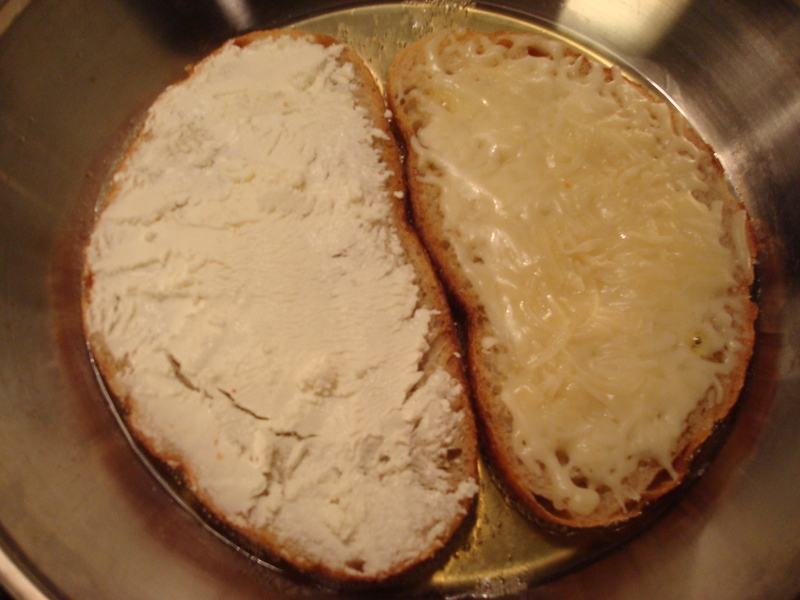 Flip one side of the sandwich onto the other and turn the heat up to medium/high. Allow the oil to start bubbling and stay close by with a spatula. When the underside is golden brown and delicious looking flip the sandwich and allow it to brown on the other side as well. Remove it from the pan and rest it on a paper towel to cool. To a goat cheese lover like me, this is a work of art! I think I gained 5 pounds just reading about it!